Governor Abercrombie's trip to Japan, Okinawa, and China included a final stop in Beijing. 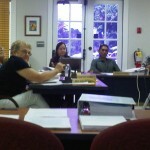 Photo Courtesy, State of Hawai'i, Office of the Governor. 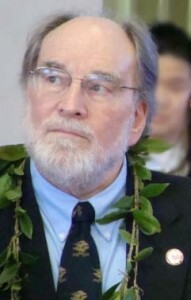 Governor Neil Abercrombie returns to Hawai’i on Thursday (Oct. 20, 2011) after nearly two-weeks in Asia, where he participated in meetings aimed at strengthening relationships in Tokyo, Okinawa, and Beijing. The governor plans to host a press conference on Monday to recap his travels and share information on how relationships in the region will benefit Hawaii’s economy. Michael McCartney, CEO of the Hawai’i Tourism Authority said, “This trip has helped to further advance our relationships, especially in China, which is an emerging market for our visitor industry.” McCartney traveled with the governor in Beijing and returned from China on Wednesday afternoon. 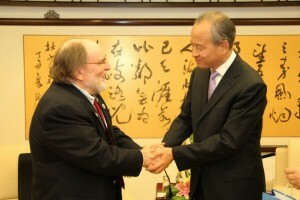 Abercrombie was also among a delegation of six governors that participated in the National Governors Association U.S.-China Governors Forum. 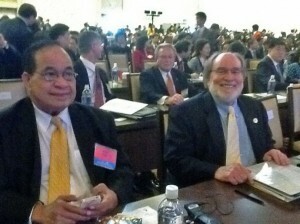 The forum served to strengthen dialogue between countries, and focused on economic development and job creation.